During the first weekend of June I completed my first Rock N Roll Marathon Series Remix Challenge in San Diego! The Remix Challenge medal is earned when you complete two days of running during a Rock ‘n’ Roll Marathon Series event. Any combination of distances qualifies for the Remix Challenge Medal. You need to complete one event on Saturday and one event on Sunday during the same Rock ‘n’ Roll Marathon Series event weekend. I chose to run the 5K distance on Saturday and the half marathon distance on Sunday. This is my first year as a member of the Rock ‘n’ Blog team and I am loving it so far! As part of the team I received a Global Tour Pass, which allows me to run any of their races worldwide (travel costs not included). My next tour stops will be Seattle, June 18th for the Half Marathon and Las Vegas on November 11-12 for another Remix (5K and Half Marathon). We left a little later than we wanted to on Friday afternoon from Vegas, so we arrived for packet pickup with just under one hour before the expo closed. The good thing about cutting it so close was that there was no line to get my packets :) I was given a specific wrist tag with my bibs and was explained that I was to wear it on Sunday’s race to pick up my Remix Challenge medal after the race (woohoo!). Afterwards we walked around the Gaslamp Quarter and grabbed some sushi for dinner before checking in to our room and crashing! This was my first really big 5K event and it was a great experience. The atmosphere was relaxed and everyone was ready to have a good time. Although, I told myself I would take it slow, I couldn’t help but get carried away by all the excitement and I took off a little faster than I wanted to. But after the first mile or so I slowed myself down and started to enjoy the sights of Balboa Park. Jason was right there cheering me on at the finish line and then we made our way to the beer tent. As ya'll know, I am much more of a wine girl myself, but after a race there's nothing better than a cold beer. Trust me on that one! The rest of the day was spent doing a little shopping and catching a movie, which is a rare treat for us to do without the kiddos. We then made our way to Ocean Beach for burgers and beers at Hodad's and to catch a glimpse of the ocean! Do yourself a favor and check it out next time you're in the San Diego area. It's got a great vibe and the burgers are delicious! The next day, was a little less relaxed, as thousands of half marathon and marathon runners made their way to the starting line. But, it was still a Rock N Roll event and the atmosphere was one of fun, if not a little more focused on the longer distances to be conquered that day. I know I was feeling nervous and excited too! The half marathon course was a blast and although my legs felt a little sluggish the first few miles, I found my groove and had a strong finish! The best part of the race was running through the Normal Heights neighborhood, where the neighbors were out supporting the runners with everything from jolly ranchers to alcohol. Loved the makeshift bars they set up serving beer, mimosas, and even shots of liquor! I chose to pass on the libations, but it was super entertaining to run by and see other brave runners take their shots! Another favorite was when we finally got the the nice downhill area along the park! Running downhill is my favorite, so a downhill finish was a great relief from an otherwise kinda hilly course. As with all big races, the finish line area was crowded and busy. Jason was looking out for me so we met up soon after. We made our way to the festival area and to the Heavy Medal tent for my Remix Medal! And then of course, it was another race so another beer at the finish! It was also great to see some friends at the festival who had ran the relay race. We chatted a bit with them before we had to get going to check out of our room and make our way back to Vegas! If you’ve never ran the Remix Challenge, I definitely suggest you try it at least once. Not only do you leave the weekend with 3 awesome medals, it really makes it for a fun-filled running weekend. Plus, you get to doubly enjoy what the Rock N Roll Marathon races are all about: fun, community, bling, music, and just an all-around good time! 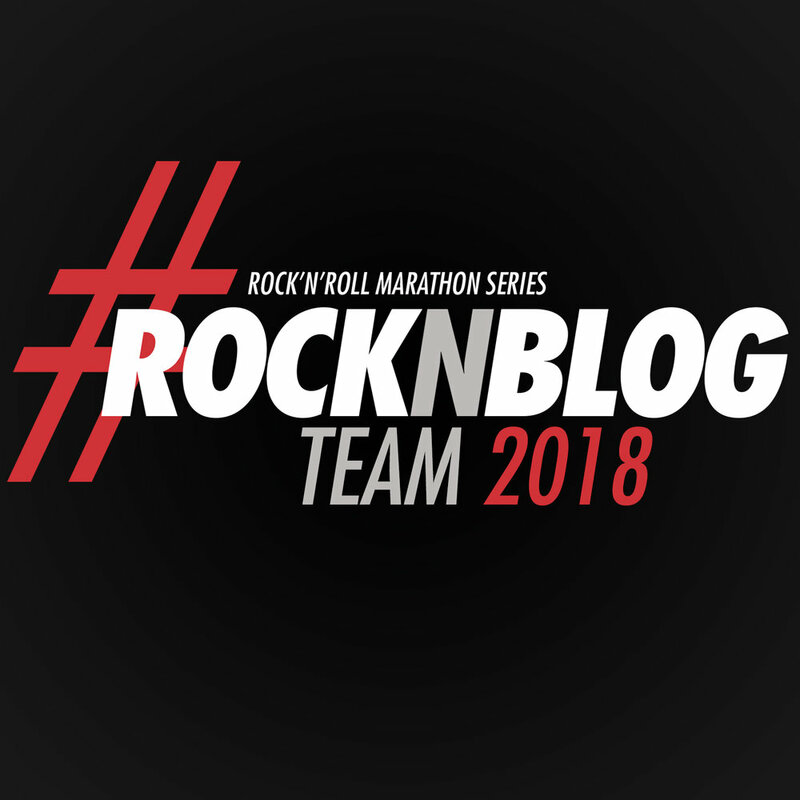 Posted in Race Recaps, Running and tagged with rnrsd, rock n roll marathon, rock n roll half marathon, rock n roll 5k, rock n roll san diego, rock n roll remix challenge, race, race recap, racecation, races, running, runner mom, runners, runner, race bling, half marathon runner, half marathon, half marathon recap. June 14, 2017 by Jessie Emeric. One of the best reasons to choose a race in a different city is the opportunity for a race-cation! You know, where you sign up for a race and plan a trip around it! Because I love to run and I love to travel even more, it's no wonder most of my races are out of town. I love being able to combine two of my favorite things! Mostly, these are just weekend getaways like for the L.A. Marathon and sometimes they are full-on family vacations, like for Disney's Wine and Dine Half Marathon in DisneyWorld. Either way, it's always exciting to get away and run in a new place! Last month I got to race the Ventura Beach Half Marathon and we made a nice little family trip out of it. The kids had already started school, so we let them play hooky and we left Friday morning. We headed straight to L.A.'s The Grove shopping center where Elysse had an appointment with a personal shopper at the American Girl store! You can read all about her amazing experience and my recommendations when visiting this store HERE. While Elysse and I shopped and had lunch at the American Girl Cafe, Jason and Diego spent their afternoon catching PokeMon Go at the nearby La Brea Tar Pits. They also grabbed a bite to eat and even did a little shopping too. In case you didn't know, Friday afternoon traffic through L.A. is insane. We thought because we were leaving a few hours before rush hour that we would be ok, but it was still really congested and it took us quite awhile to get from Los Angeles to Ventura. When we finally arrived at our hotel, I realized just how chilly the evenings are in Ventura and we were not prepared! Elysse still got in the pool before we headed to dinner. She's crazy and maybe I'm a little crazier for letting her get in. But hey, it's a vacation! Saturday morning, was packet pickup and our family day at the beach. The first thing we did, was head to Old Navy to get some sweaters because the morning was cold and cloudy and I knew the evening would also be chilly. Then we headed to Trader Joe's to grab food for our beach picnic lunch later. At this point, we're all starving, so we had to find a place to eat a late breakfast on Main St. Finally, around noon, we made it to the beach. Packet pick up was right next to the pier and super quick to find and get my bib for the race the next day. After all of this, it was finally time to relax at the beach for the day! The weather was cool but it did get pretty sunny once that morning fog rolled out. We spent the day lounging, making sand castles, and gathering shells. Diego had gotten a skate board while in L.A. so him and Jason practiced skating along the bike trail. It was seriously one of the most chill out days at the beach we've ever had. Even though it was too cold for actual swimming in the ocean, it was a blast! We were all so stuffed from our big breakfast, that we didn't even have our lunch or snacks until we got in the car to leave. As soon as we got back to our hotel, Elysse was ready to jump in the pool again! I don't know how she has so much energy. But, because we didn't swim in the ocean, we figured why not! So her and Jason stayed at the pool while Diego and went up to the room to get a head start on showers and get ready for dinner. Sunday was race day and it was perfect! You can read all about my race recap HERE. Unfortunately, with school on Monday, we decided to head back home soon after the race was done. After my race, we headed back to the hotel to check-out and for me to get myself all cleaned up from the half marathon. After breakfast we decided to take the scenic route and find the Musical Road in Lancaster, CA. It was originally made for a Honda commercial. It's a quarter mile bit of road that when driven on it, it is supposed to sound like William Tell Overature or better known as the theme from the classic Lone Ranger tv show. Was it worth taking the scenic route for this? Absolutely! There are only a few of these musical roads in the world and even though it wasn't perfectly in tune, it was still a fun little side track. Click the photo to see and hear our drive over the Musical Road! All and all, our family race-cation was a much needed break from the busy months we'd been having with packing and moving and the kids starting new schools. 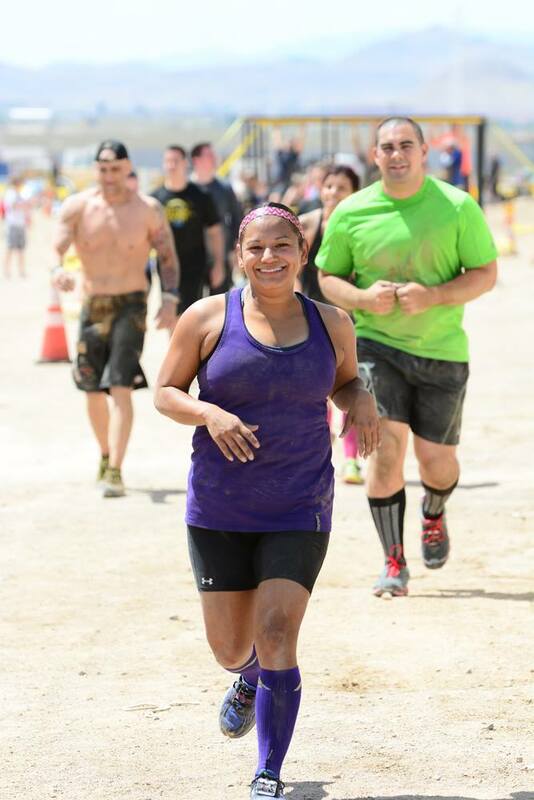 I highly recommend when looking for your next race, consider making it a race-cation! I'm sure the idea of traveling and getting away will be a nice motivator as you put in those training miles! Posted in Family Life, Travels and tagged with race, racecation, vacation, southern california, southern california vacation, family vacation, family trip, family road trip, family travels, family travel blog, ventura half marathon, ventura beach, beach fun, beach getaway, soCal Beach trip. October 25, 2016 by Jessie Emeric.